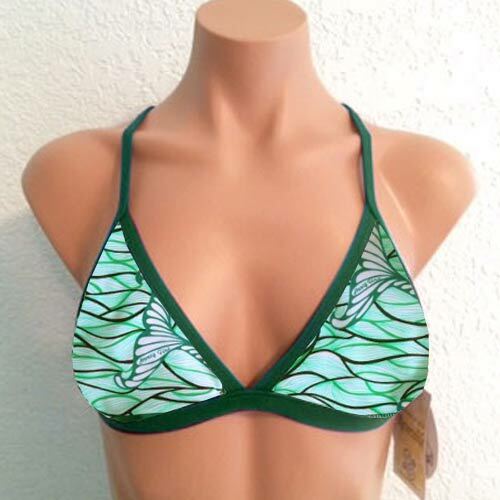 Jules Reversible Triangle Sport Top Mermaid Tail Print, Green reverses to solid Forest Green. Straps cross and tie in back. Lightly padded sewn to an inner lining so it won’t scrunch up.